Woman dials a message on the phone on the airplane against the window of the porthole in flight in the evening. Fingers touch the screen and use the smartphone close-up. hd00:52CIRCA 1967 - A squadron of US Army helicopters flies through the clouds over Vietnam. 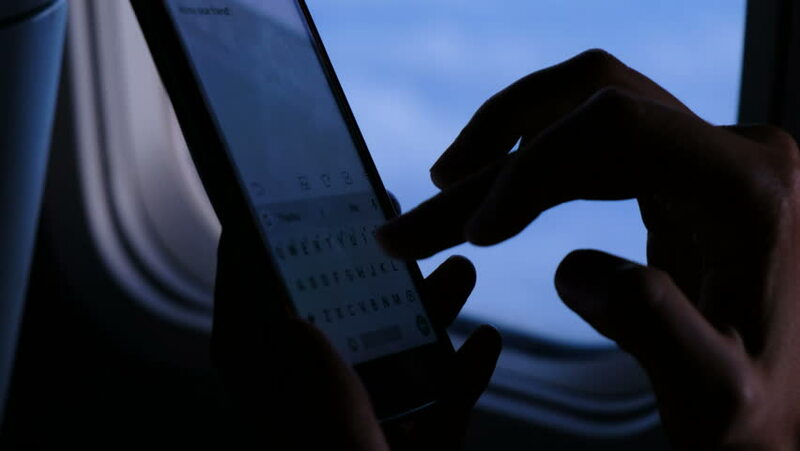 4k00:07Using smartphone on the board on the background of the window porthole and the wing of the airplane iin the evening. Fingers touch the screen and use the smartphone close-up. 4k00:11Young man is using a smartphone inside an airplane next to a window. Shot on RED Cinema Camera in 4K (UHD).